Reports of May contemplating a general election at the end of February are difficult to believe. But it is difficult to see any other way forward for her, so what if it is true? And if it is true, what is going on in her head? In both the Withdrawal Agreement and the No Confidence debate May seemed to base her challenges to Corbyn on the expectation that he would stutter because of the division both in the PLP, the Party as well as in the Shadow Cabinet. He didn’t. He immediately called a no confidence motion and his quick response to her invitation to talks probably surprised her. These were refreshing moments of clarity from Corbyn. This entry was posted in Uncategorized on January 19, 2019 by Pete Radcliff. Alternative title: There has never been and there is no such thing as fair immigration controls – Part 2 – The Commonwealth and Immigration Act of 1962. The Alien Act was the first legislation passed in the UK Parliament with the aim of restricting immigration. It was passed in 1905 and primarily targeted those Jews fleeing pogroms in Russia and Poland. This first attack on migrant rights in the UK is very well covered in this article by Daniel Randall on the Labour Campaign for Free Movement website. This entry was posted in Uncategorized on January 3, 2019 by Pete Radcliff. Apparently May’s strategy is to outface and ignore all opposition to her Brexit deal in her Party. 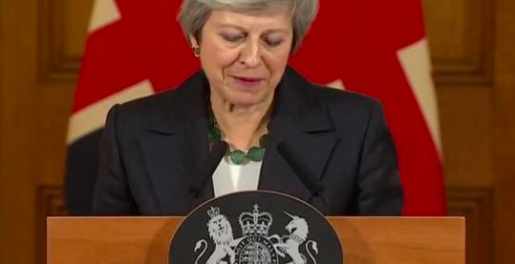 She expects business Toryism over the coming weeks to sort out the No Deal Brexiters. The Tories’ business backers will be worried about predictions of economic catastrophe. They hold the Party’s purse strings. They could threaten withdrawal of financial support from the Party if May is deposed or the No Deal Brexiters take over. This entry was posted in Uncategorized on November 16, 2018 by Pete Radcliff. ‘I’ll have to hold my nose’ is a common expression on the left for a reason. We often have spokespersons imposed on our movement and its protests, who we dislike considerably, even detest. We are presented with a choice ‘do we protest on an important issue or do we stay silent?’. Over the last few days there have been many attacks on tomorrow’s People’s Vote march. Those of us going on it are being portrayed as anti-Corbyn, even anti-Labour, agents of Chuka Umunna or even Anna Soubry. This entry was posted in Uncategorized on October 19, 2018 by Pete Radcliff.